I met Keegan a couple months ago while he was performing on Granville Island. More recently, Granville Island Cultural Society is requiring street performers to audition prior to granting them a license for doing so at this popular area of Vancouver. Keegan's license unfortunately has not been renewed, and this has sparked a controversial discussion about the freedoms and regulations of street busking. 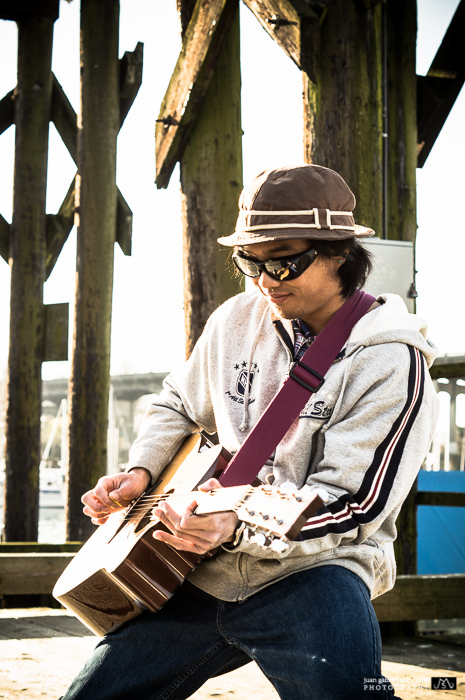 News 1130 used my photo of Keegan in their article entitled: "Friends rally around busker denied Granville Island permit"